College students need all the financial help them can get. Even if you think you have enough money to pay for college, you should fill out a Free Application for Federal Student Aid (FAFSA) to avoid missing out on grants, scholarships and low cost financial aid. It's important to know that beyond grants and scholarships, filling out the FAFSA is what's required to get Federal student loans. That's why you should also make sure that you're filling out the FAFSA every year you attend school. Why Do I Need To Fill Out The FAFSA? Many students and parents don’t fill out the FAFSA because they think federal grants are only available to families earning less than $50,000. The truth? You could qualify for other financial despite your income or your family’s income. 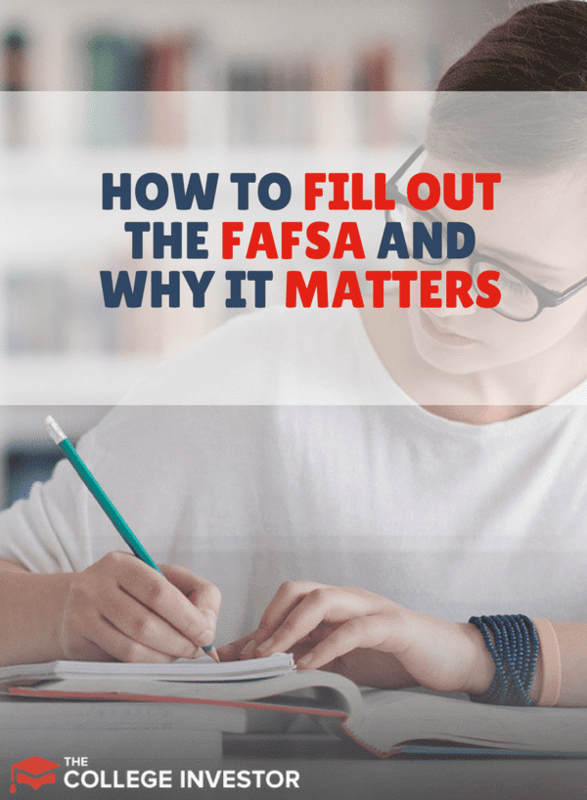 Why should you fill out a FAFSA? To maximize your chances to receive grants, scholarships and avoid student loan debt, and much more! To qualify for grants, financial aid, and scholarships, you must fill out a FAFSA form. If you don’t meet the requirements for need-based scholarships, the college could award a merit-based scholarship instead. When some schools have tuition over $65,000, need-based financial aid is even available to students from middle and upper-middle class income brackets. Once you fill out a FAFSA form, you automatically qualify for low-interest and forgivable federal student loans, which are the best kind of student loans. The FAFSA form is also required to qualify a parent for a federal parent PLUS loan. How can completing a FAFSA form improve your chances of getting into a particular school? If a student fails to submit a FAFSA form to an institution, they are less likely to enroll. Aside from qualifying for grants, scholarships, and other forms of financial aid, filling out a FAFSA form indicates that you are interested in that institution, making it more likely that the institution will try to entice you to attend by offering financial aid. Whether you’re a student filling out a FAFSA, or a parent of a student, the steps below will help you fill out the FAFSA the right way and qualify for maximum benefits. Remember, you must complete a FAFSA form for each school year. Now that you understand how your FAFSA form can affect your future, we’ll walk you through the process step by step. Your Social Security number and your parents’ social security numbers if you are a dependent student. Your driver’s license number or state issued ID if you have one. Federal tax information or tax returns for you and for your parents if you are a dependent student. Nontaxable income records for you and your parents if you are a dependent student. Checking and savings account balances; investments, including stocks and bonds and real estate (aside from your primary residence). Create a FSA ID, a username and password combination that allows you to sign your FAFSA form electronically. Your FSA ID also can be used to sign loan contracts and to access certain information online. Student: Get your FSA ID is a username and password to sign the FAFSA form online. If you don’t have an FSA ID, get an FSA ID here ASAP. If this is your first time filling out the FAFSA form, you can use your FSA ID and to start filling out your FAFSA form. If you are renewing your FAFSA, you may need to wait a few days to get your account verified before using your FSA ID to renew the FAFSA form. Parent: If your child is required to report parent information on the FAFSA form, you need to create your own FSA ID in order to sign your child’s FAFSA form online. Important: Be careful not to mix up parent and student FSA IDs, otherwise it can delay the process! If you log in with your FSA ID, your personal information will be automatically populated in your application, which prevents errors if you accidentally enter your parent’s FSA ID instead of your own, or when the FSA ID does not match the information on your FAFSA form. Since some states and schools have limited funds for financial aid, you should get a head start and complete your FAFSA form as soon as possible and stay update on changes to the FAFSA requirements. Students should enter their FSA ID username and password, and click “Next” to proceed with the form. Parents should select “Enter the student’s information”, then enter the student’s name, social security number, and date of birth, and then click “Next” to continue filling out the form. Next, select the FAFSA form to fill out based on the time period you will be attending college. The 2017 – 2018 form is for July 1, 2017 – June 30, 2018. The 2018- 2019 form is for July 1, 2018 – June 30, 2019. If you are attending college during both time periods, fill out a FAFSA form for the first period, wait until it processes, and then fill out the second form. If you are renewing your FAFSA form, your information from last year will roll over to the current year, so make sure that your information is correct. If the application requires parent information, you can create a “save key”, or a temporary password that allows the parent and child to “pass” the FAFSA form back and forth. This feature is especially useful if the parent and child are in different geographic locations. This is your full name, date of birth, social security number, and other personal information. If you are renewing your FAFSA, your information will be carried forward from the last application, saving you time. Enter your name exactly as it appears on your social security card. If you are a parent entering information on a student’s FAFSA form, remember that the questions are for the student. If you are unsure, check the banner on the left side to see whether you’re on the student or parent page. The FAFSA form asks you a set of questions that will determine whether you are a dependent student or independent student for federal student aid purposes. If you qualify as a dependent student, you are required to report parent information in addition to your own information on your application. Find out here to see whether you qualify as a dependent student. Add every school you are considering in the “School Selection” section. You can add up to 10 schools at a time. You can also remove schools at any time to make room for new schools. If you don’t apply to or get accepted to an institution, they can disregard your FAFSA. Keep in mind that the schools you list will use your FAFSA information to determine the type and amounts of aid available for you. Some schools suggest that students list schools in a particular order, where you list state schools first. Check if your state has a requirement for the order to list schools on your FAFSA form. Now, you will answer questions to determine whether you need to provide parent information on your FAFSA form. 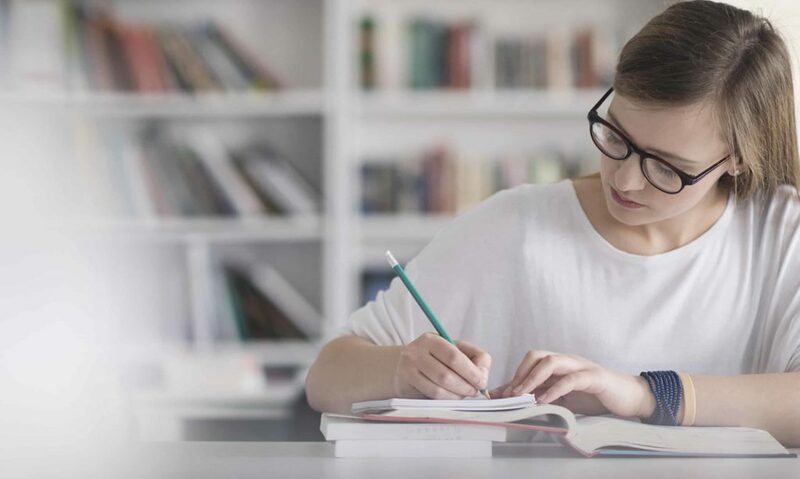 These questions will determine whether you are considered a dependent student to determine the extent of eligibility for federal student aid. If you qualify as a dependent student, you will have to report parent information. Otherwise, you will skip to Step 7. If you qualify as a dependent student, you will need to fill out the parent demographic information. Importing tax returns can be tedious, but The IRS Data Retrieval Tool (DRT) will allow you quickly to import your IRS Tax information to your FAFSA form. If you are a dependent, your parents will provide their financial information into your FAFSA form. Once you complete the FAFSA form, you can sign your FAFSA form online with your FSA ID. If you are a dependent, your parent must sign the form as well. Don’t pass up your chance to get your college tuition paid, or to get competitive forgivable student loans. While you may not qualify for financial aid for one year, don’t be discouraged, because your situation could change for the next academic year. To get started with filling out your FAFSA form, go to fafsa.gov. ​Did you qualify for grants and scholarships to your surprise because you filled out your FAFSA? Did you miss out on financial aid because you forgot to fill out your FAFSA, or thought it didn’t matter? Student financial aid is a sham. I submitted FAFSA and got no aid as a result of my dysfunctional family situation. I lived with lower middle class relatives in NYC (not Manhattan) and apparently lower middle class salaries in NYC are too high to qualify for financial aid at most public colleges and universities. The relatives listed on the FAFSA housed me but did not provide support, which came from my father. I was academically recruited by the college I attended but they did not give me a dime of aid. You might not get a scholarship or grant, but filling out the FAFSA is also what enables you to get student loans should you need them.